Oh, Shirley! You classy lady, you've been with me since I was a little girl. A Shirley Temple is the first drink I ever ordered at a bar. Really! My dad worked in restaurants throughout my early childhood and I remember bellying up to the bar, (before the restaurants were open), ordering this drink, and feeling like a real pro. 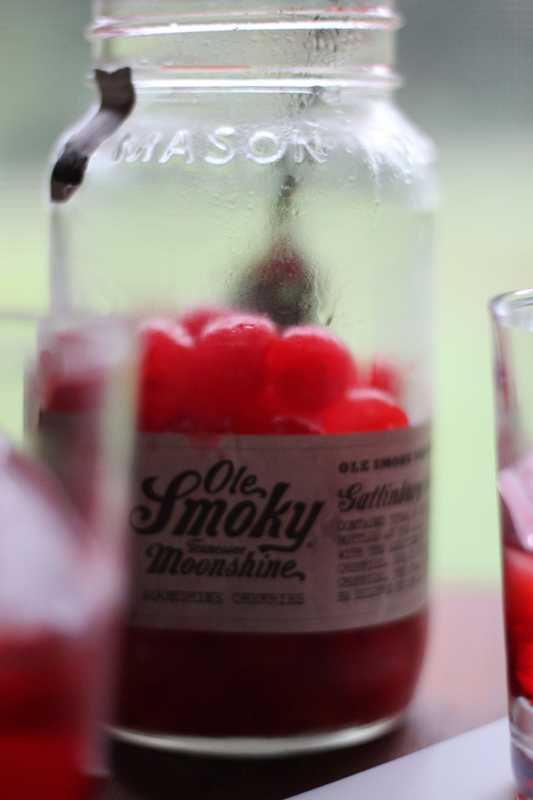 The Shirley Temple and I have both grown up a bit thanks to these Ole Smoky Tennessee Moonshine Cherries. I bought them a few weeks ago on an impulse and have been enjoying them in a grown up classic - The Dirty Shirley. This is exactly what it sounds like - an alcoholic version of the sweet virgin drink of your childhood. 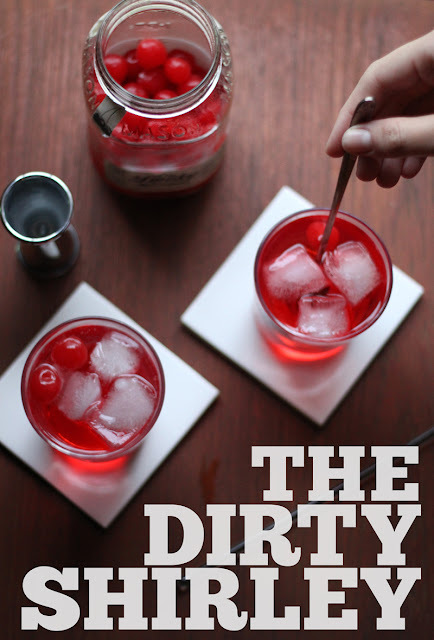 Fill a rocks glass with ice and top with the vodka, cherry liquor, grenadine, and cherries. Stir to combine. Top with soda water and enjoy. Oh yes ma'am.. you put some Ole Smoky Tennessee Moonshine in there and made Shirley dirty for reals. Brilliant!! I love some moonshine cherries, and I love how you love this drink! Dirty Shirley's were my go to drink in college!! 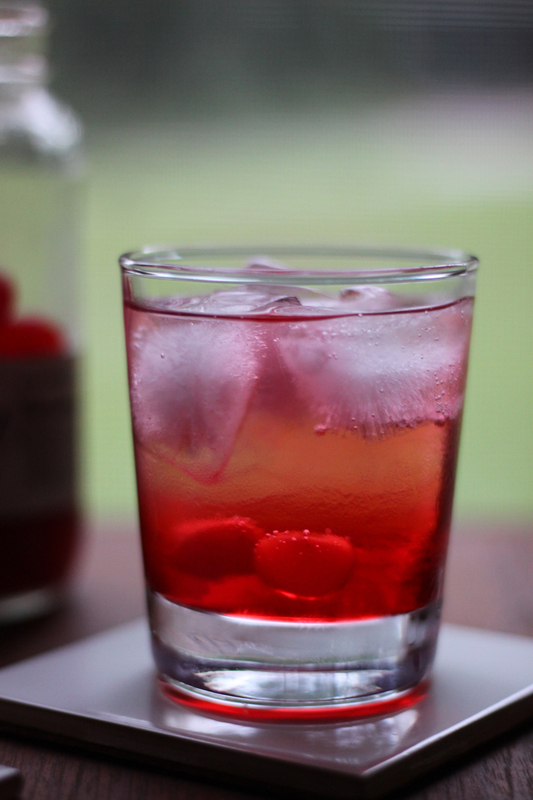 Love that this one calls for tipsy cherries!! Thanks Ashley. My go-to drink in college was a vodka tonic, because I was trying too hard to be cool. I would have enjoyed this much more!